With the Summer Holidays now underway, you might be looking for something to help keep your kids entertained across the next six weeks. Luckily, the Life Science Centre have you covered! With their spectacular Dino Jaws exhibition in full swing, that provides the perfect springboard for some crafty ideas. Each week across the summer they’ll be presenting a different Jurassic-themed activity in their Maker Space for the kids (and big kids too!) to get stuck into. Included in the overall Life Science Centre admission, there’s something arty for everyone to have a go at. Kicking off with flat-pack dinos, where you’ll be able to create your own prehistoric beast from just ‘roar’ materials of cardboard, foil and a bit of plastic, there’s also a chance to get creative with pastels and make colourful pictures before creating your own dinosaur silhouette. 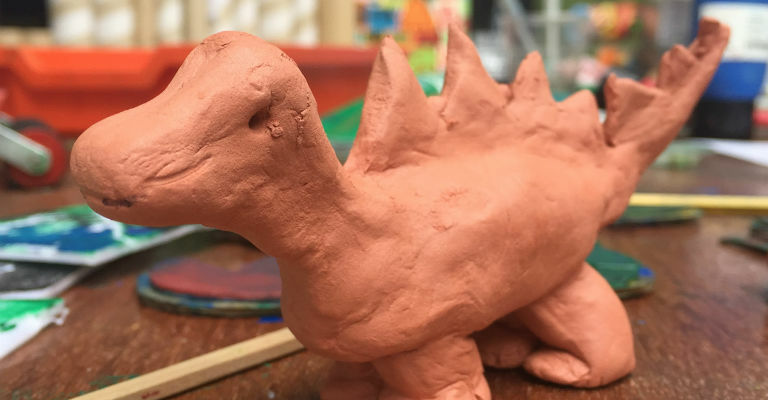 Clay always equals fun, so the chance to make a Jurassic sculpture shouldn’t be missed, while if you want to get into the dinosaur spirit a little bit more, then there’ll also be the chance to make your own costume. Of course, to make the most out of the Science Centre trip then don’t forget to check out the Planetarium, which is showing Little Bear Goes North for mini-astronomers and Live Skies for the slightly older ones, and ‘Journey 2’ continues to be the rip-roaring 4-D Motion Ride. Grab the glue, set your imaginations racing and get ready to create some spectacular dino-themed crafts! For more information on the Make-A-Saurus events, visit the Life Science Centre website.